Throughout the first decade of the twenty-first century, the world witnessed the rise of the Islamic movement Hamas in Palestinian politics. Embedded within the movement’s Charter is the urgent necessity to engage in armed jihad against Israeli occupation. To understand Hamas’ concept of armed struggle, it is essential to understand the Quranic concepts of jihad and qital. As an Islamist movement, Hamas favors basing their political postures in accordance with particular theological foundations. The concepts of jihad and qital, along with that of fitna, are inseparable and essential to understanding Hamas’ theological foundation for armed struggle against Israeli occupation. This article is divided in three sections. The first section defines and describes the Quranic concepts of jihad, qital, and fitna. The second section provides a description of circumstances endured by Palestinians under Israeli occupation. The purpose of this section is to familiarize the reader with the political, social, and economic conditions that the occupation has imposed on the Palestinian population in East Jerusalem, the West Bank, and the Gaza Strip. the second part concludes the section by examining Hamas’ conception and engagement in jihad of the hand, made evident by its active participation in Islamic welfare programs. Upon discussing all of these concepts and events, the reader is invited to reflect once more on jihad and the legitimacy of Hamas’ invocation of it, be it in a strictly theological or practical sense. Notwithstanding, this essay is strictly expository and should in no way be understood as a call for the use of force. (4) Jihad of the sword, which consists of the just use of violence. This essay focuses on the two latter forms. Jihad is considered the duty of every Muslim and is explicitly ordered in numerous verses of the Quran; among these, verse 5:35 states: “O you who believe! Do your duty to Allah and fear Him. And seek means of approach to Him, and strive hard in His Cause (as much as you can), so that you may be successful.” Numerous verses express Allah’s preference for those who practice jihad. For example, verse 2:218 reads as follows: “those who . . . strive in the cause of God have deserved God’s mercy,” clearly implying that Allah will have mercy upon those that practice jihad. As previously mentioned, jihad of the sword, despite receiving the most publicity, constitutes only one of the four types of jihad. To understand this kind of jihad one must understand qital, or qatala (verbal form), as these are inevitably linked. Qital can be defined as an attempt to kill or fight. Islam’s general idea of taking life is very harsh; it claims that killing one person is equal to killing all of humanity. Despite this general restrictive approach, Islamic postulates present justifiable reasons for the taking of life. These justifiable reasons are fitna -worse than killing. Fitna is defined as persecution, oppression, and murder. The Quran accepts fighting in self-defense but, nonetheless, discourages aggression: “[F]ight in the way of Allah against those who fight against you but be not aggressive.” Overall, fighting to prevent or defend against fitna is justified since oppression, slaughter, and murder are considered worse than the particular act of killing. Thus, jihad of the sword is exercised through qital to prevent or defend against fitna. Moreover, this constitutes the only justifiable reason for taking the life of another human being. Hence, under this interpretation, if the conditions faced by the Palestinian population are considered fitna, they could be understood to justify Hamas’ engagement in jihad of the sword. Since 1948, Palestinians have borne the brunt of the Zionist desire for a Jewish nation-state. Palestinians have faced constant displacement: “750,000 Palestinians [were] driven from their land and homes during the 1948 war, as well as 400,000-500,000 additional Palestinians made refugees by the 1967 war.” Once able to roam and settle freely throughout the land that currently constitutes the Israeli state, most Palestinians were forced to abandon their homes and move into the West Bank and Gaza Strip territories. These territories are collectively known as the Palestinian Occupied Territories (POT). The Palestinian issue is a familiar and much discussed subject, but some general facts are worth noting. Palestinians have not exercised their right to self-determination; they do not have a recognized state of their own and exercise no true sovereignty. Palestinians are subject to many limitations regarding legal rights, freedom of movement, and economic matters, among others. For example, Palestinian customs duties are managed by Israel, this being a major source of revenue for many governments. Since the culmination of the Oslo Agreements and the establishment of the Palestinian Authority (PA), the POT have witnessed periods of intermittent Israeli offensives and military occupation. Hamas was victorious in the parliamentary elections of January 2006, and in February 2007 established a short-lived national unity government in coalition with the traditional powerhouse in Palestinian politics, Fatah. After failing to consolidate their differences, especially regarding the recognition of Israel, Hamas and Fatah engaged in violent clashes that resulted in Hamas gaining exclusive control of the Gaza Strip in June 2007, and the establishment of a Fatah-led government in the West Bank. In late 2010, direct peace talks between the Israelis and Palestinians collapsed. In early 2011, Fatah and Hamas agreed to reunify the Gaza Strip and West Bank, but the factions struggled to implement details on governance and security. In November 2012, the UN General Assembly upgraded the Palestinian status at the UN to that of an observer state. Moreover, Palestine has acceded to various international agreements, most notably, the Rome Statute of the International Criminal Court in January 2015. The latest U.S.-mediated peace plan, dubbed the John Kerry Peace Plan, failed in 2014, placing Israeli-Palestinian peace talks in a standstill. Notwithstanding, 135 states recognized the State of Palestine, Sweden being the latest to recognize it on October 30, 2014. In 2014, Hamas and Fatah agreed to form a “national reconciliation” government but the deal has yet to be fully implemented; the status quo remains with Hamas in firm control of the Gaza Strip and the PA governing the West Bank. First of all, the particular significance of East Jerusalem for Palestinians must be noted – East Jerusalem has been designated as the capital of the future Palestinian state. However, at the moment, this is a far-flung aspiration. Palestinian communities in East Jerusalem face what Israeli political activist, author, and founder of the Alternative Information Center, Michel Warschawski, has described as an “administered ethnic cleansing.” Palestinians in East Jerusalem are faced with the encroachment of Israeli settlements in both the urban and suburban regions of East Jerusalem. For example, Palestinians constantly face court-ordered forced evictions and demolitions in urban areas, such as the Palestinian neighborhoods of Al Buslan and Sheik Jarrah. This is part of an Israeli strategy to dismantle highly populated Palestinian parts of urban East Jerusalem in order to establish their own settlements. Israeli settlers also continue expansion into the suburban areas of East Jerusalem by building separated communities within the PA-administered West Bank, such as the ultra-Orthodox settlement of Ramat Shlomo. These communities are later annexed into Israeli-controlled East Jerusalem. According to Warschawski, this is all part of Israel’s attempt to make Jerusalem an exclusively Jewish city, to the detriment of Palestinian communities. As a result of this policy, Palestinian Jerusalemites face continuing displacement and restricted freedom of movement. These policies are enforced to maintain Israeli and Palestinian communities ethnically and physically separated. On top of this, the Israeli Barrier Wall already cuts off many Palestinian communities, such as the Shu’fat refugee camp, from access to basic services such as health and education. Not surprisingly, the West Bank and East Jerusalem face many of the same problems regarding Israeli settlement expansion. For example, the 2010 approval by the Israeli government to build 112 apartments in the settlement of Beitar Illit stirred discontent among the Palestinian and international communities. United Nations Under-Secretary General for Humanitarian Affairs and Emergency Relief Coordinator John Holmes noted the severity of the Israeli demolition policy during his visit to Al Jahalin Bedouin community in Area C of the West Bank, where a school built with the assistance of the UN and NGOs was marked for demolition in order to make space for Israeli settlements, impeding the Palestinian children’s access to education. Another controversial policy enacted by Israel is an order issued by the Israeli Defense Forces that imposes criminal punishment on Palestinian residents of the West Bank for not possessing Israeli-issued permits. Anyone older than 16 years of age not possessing such document is considered an infiltrator and subject to deportation or incarceration for up to 7 years. This policy affects more than 70,000 Palestinians. The individuals affected by this policy range from expatriates to Palestinian internationals, and even to Palestinians with Gaza-issued ID cards. The Palestinians who endure the worst conditions, by far, are those who reside in the Gaza Strip. It would not be an exaggeration to describe the Gaza Strip as a prison housing a million and half people. About 1.1 million of these are refugees, and 500,000 live in refugee camps. Since 2006, the Gaza Strip has endured international sanctions, and, since 2007, Israeli-enforced border crossing closures have been in effect, drastically limiting food and consumer product imports. As a result of this policy and the Israeli control of the Gaza Strip’s coastline, most Gazans meet their needs in the black market with products smuggled via underground tunnels from Egypt. This blockade has had drastic economic and social consequences. At certain points in time, approximately 95% of industrial operations in the Gaza Strip have been halted, contributing to the 45% unemployment rate. Gazans also frequently experience twelve-hour power shortages. Approximately 90% of Gazans have been reported to live below the poverty line, and about 57% are classified as “Food Insecure” by the World Food Programme. Apart from facing these inhumane conditions on a daily basis, Gazans have also been the sector of the Palestinian population most drastically affected by IDF military operations; the most recent notable ones being Operation Cast Lead in 2008, which resulted in the death of 1,417 Palestinians; Operation Pillar of Defense in 2012; and,Operation Protective Edge in the summer of 2014, which resulted in an estimated 2,300 deaths. The International Criminal Court has opened an inquiry into these last events. Jihad is not confined to the carrying of arms and the confrontation of the enemy. The effective word, the good article, the useful book, support and solidarity -together with the presence of sincere purpose for the hoisting of Allah’s banner higher and higher- all these are elements of the Jihad for Allah’s sake. Article 30 makes evident Hamas’ recognition of the importance of jihad of the heart (sincere purpose for the hoisting Allah’s banner) and jihad of the tongue (effective word, good article); but it is through the jihad of the sword and jihad of the hand that Hamas truly distinguishes itself and cements its legitimacy amongst the Palestinian population. Hamas emerged during the First Palestinian Intifada and, ever since, has engaged in jihad of the sword against Israeli occupation. Jihad of the sword is implicitly described in Article 13 of the Hamas Charter as the only viable option for the Palestinians in the face of Israeli occupation; Article 13 reads: “There is no solution for the Palestinian question except through Jihad. Initiatives, proposals and international conferences are all a waste of time and vain endeavors. The Palestinian people know better than to consent to having their future, rights and fate toyed with.” Hamas’ preference for this specific form of jihad was made clear in their communiqué of December 7, 1993, through which they stated that “jihad is the only way to liberate Palestine, and that force is the only language of understanding with the enemy,” in clear reference to jihad of the sword. The branch of Hamas dedicated to engaging in jihad of the sword is its military wing, the Ezzedeen Al-Qassam Brigades (EQB). The EQB’s function as “a network of specialized cells operating all over the Gaza Strip and West Bank. The cells work independently of each other under the instructions of the Brigades’ leadership.” These cells engage in military operations “against fortified military targets and against occupation forces attacking Palestinian neighborhoods.” The EQB’s official site states that they utilize “sheer determination, dedication, and ingenuity,” as well as a strong faith in Allah, and belief in the Palestinian cause, in their armed struggle against the Israeli occupation. Hamas has earned its legitimacy among the Palestinian people partly due to the willingness of its members to sacrifice for the cause and its institutional perseverance in face of the conditions – fitna – imposed by Israeli occupation. The Islamic welfare organizations are of two kinds: those concerned with the collection and distribution of alms (zakat committees), and those concerned with service delivery (education, medical, relief, etc. )… Charity aid and zakat donations are preferentially distributed to widows, female-headed households or families of slain martyrs, as well as to orphaned children. In-depth studies bear out the efficiency and professionalism in the service delivery of Islamic charities. Hamas’ insistence on jihad of the hand can also be found in its Charter. Articles 20 and 21 of the Hamas Charter state that “it is necessary that social mutual responsibility should prevail among the people . . . . Mutual social responsibility means extending assistance, financial or moral, to all those who are in need and joining in the execution of some of the work.” This dedication to providing welfare programs should not be surprising, considering that Hamas evolved out of the Islamic Center, which itself engaged in providing many of these same services. Jihad is commonly misunderstood, and even more so when analyzed in the context of such a complex geopolitical, ethnic and religious conflict as the Israeli-Palestinian conflict, with its years of history and countless intricacies. This essay serves to dispel some of the myths surrounding the concept of jihad and clarify many of the misconceptions. Moreover, it is a brief attempt at presenting the concept of jihad within the context of Israeli occupation and Hamas’ resistance to it. 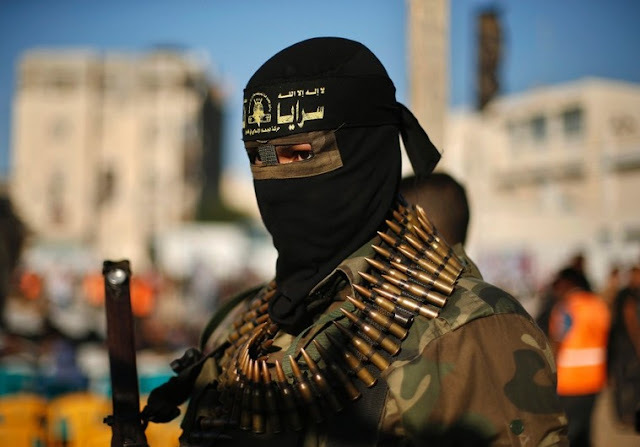 As alluded to above, this essay aims at provoking the reader to reflect on the interconnection between jihad, Palestinian liberation, and Hamas. Furthermore, I sincerely hope that it serves as catalyst for the reader to conduct his or her own personal investigation on the Israeli-Palestinian conflict – a conflict that has unquestionably dragged on for too long, caused too much suffering on all sides, and continues to be a significant source of regional and international discord. William Sewell Fernández, Juris Doctor candidate at the School of Law of the University of Puerto Rico in May 2015. He has a Bachelor of Arts in International Relations at Florida International University, Certificate in Education in Latin America and the Caribbean and second concentration in Geography . Currently he serves as Associate Director of the Law Review at the University of Puerto Rico. For the purposes of this essay, the terms Allah and God will be used without distinction. This essay will not address issues related to the distinct Quranic translations and differences between them. Al-Mã’edah 5:35; cf. Interpretations of the Meanings of the Noble Qu’ran 5:35 (Muhammad M. Khan and Muhammad T. Al-Hilali trans., 1999) (hereinafter, “Khan and Al-Hilali”). Al-Baqarah 2:218; cf. Khan and Al-Hilali, supra note 3, 2:218. See also Al-Tawba 9:20; cf. Khan and Al-Hilali, supra note 3, 9:20. See Al-Mã’edah 5:32; cf. Khan and Al-Hilali, supra note 3, 5:32. Al-Baqarah 2.191; cf. The Quran: English Meaning and Notes (Saheeh International eds. 2011) available athttp://www.quranabc.com/quran/#/The%20Qur’an/38. Al-Baqarah 2:217; cf. Quran: The Final Testament (Rashad Khalifa ed. trans. 2001). Al-Baqarah 2:190; cf. Maulana M. Ali, The Holy Quran with English Translation and Commentary 2:190 (2002). This section provides a brief description of the current political and socio-economic conditions that Palestinians endure as result of the Israeli occupation. This section is intended for readers to make their own judgments regarding whether these current conditions can be considered as fitna, and therefore justify Hamas’ jihad of the sword. To facilitate the depiction of these conditions, the latter part separately deals with the conditions Palestinians face in East Jerusalem, the West Bank, and the Gaza Strip. Center Staff, The Palestinian Refugee Crisis, The Jerusalem Fund (July 14, 1999),http://www.thejerusalemfund.org/www.thejerusalemfund.org/carryover/pubs/19990714ib.html. See Paul Scham & Osama Abu-Irshaid, Hamas: Ideological Rigidity and Political Flexibility, United States Institute of Peace (June 1, 2009), http://www.usip.org/publications/hamas-ideological-rigidity-and-political-flexibility. See The World Factbook – Gaza Strip, Central Intelligence Agency (Jun. 20, 2014), https://www.cia.gov/library/publications/the-world-factbook/geos/we.html (last visited Feb. 24, 2015); see also Steven Erlanger, Hamas Seizes Broad Control in Gaza Strip, The New York Times (June 14, 2007), available athttp://www.nytimes.com/2007/06/14/world/middleeast/14mideast.html?_r=0. Press Release, International Criminal Court, The State of Palestine accedes to the Rome Statute, (Jan. 7, 2015). Diplomatic Relations, Permanent Observer Mission of the State of Palestine to the United Nations, http://palestineun.org/about-palestine/diplomatic-relations/ (last visited Apr. 22, 2015). Palestinian premier heads to Gaza on reconciliation mission, Associated Press (March 15, 2015), http://www.dailymail.co.uk/wires/ap/article-3011195/Palestinian-premier-heads-Gaza-reconciliation-mission.html (last visited on April 26, 2015). Michel Warschawski, On the Border, Pt. 5, The Real News (April 10, 2010), http://therealnews.com/t2/index.php?option=com_content&task=view&id=31&Itemid=74&jumival=4987. See Rory McCarthy, Israel plans more East Jerusalem homes as talks collapse, The Guardian (March 11, 2010), http://www.theguardian.com/world/2010/mar/11/israel-homes-east-jerusalem-talks. See U.N. Officials Call for ‘Radical’ Policy Shift in Occupied Palestinian Territory, Un News Centre (March 4, 2010), http://www.un.org/apps/news/story.asp?NewsID=33974#.VQeI_lpH2L8. See Legal Consequences of the Construction of A Wall in the Occupied Palestinian Territory, supra note 12. See Rory McCarthy, Israel Approves More Construction in West Bank Settlement, The Guardian (March 8, 2010), http://www.theguardian.com/world/2010/mar/08/israel-construction-settlement-west-bank. The Identity Card Carrying and Displaying Act of 1982 is still current. See Ali Abunimah, Infrographic: How the Israeli ID Card System Enforces Apartheid, Electronic Intifada (May 15, 2014),http://electronicintifada.net/blogs/ali-abunimah/infographic-how-israeli-id-card-system-enforces-apartheid (last visited on March 15, 2015). See UN Report: At 45 %, Gaza Unemployment is the Worst in the World, HAREETZ (July 30, 2008), http://rete-eco.it/2011/fr/home/35-documenti/riflessioni/2300-un-report-at-45-gaza-unemployment-is-highest-in-the-world.html. See 90 % of Gazans Live Below the Poverty Line, 95 % of Water Undrinkable, Middle East Monitor (September, 17, 2014), https://www.middleeastmonitor.com/news/middle-east/14198-90-of-gazans-live-below-poverty-line-95-of-water-undrinkable. See Palestine External Situation Report, World Food Programme (December 2014),http://documents.wfp.org/stellent/groups/public/documents/ep/wfp270840.pdf. See Sean Nevins, Israel threatens Intl’ Criminal Court with Retribution if War Crime Investigations Continue, Mint Press News (February 9, 2015), http://www.mintpressnews.com/israel-threatens-intl-criminal-court-with-retribution-if-war-crime-investigations-continue/201967/; Two years after Operation Cast Lead: Gaza Remains Sealed-Off from outside World, Impunity for War Crimes Prevails, Palestinian Centre for Human Rights (December 27, 2010), http://www.pchrgaza.org/portal/en/index.php?option=com_content&view=article&id=7196:two-years-after-operation-cast-lead-gaza-remains-sealed-off-from-outside-world-impunity-for-war-crimes-prevails-&catid=74:war-reports&Itemid=217. See Allison Deger, I.C.C. Opens War Crimes Inquiry into Israel Over Gaza War as Palestinians Prepare Another U.N. Resolution, Mondoweiss (January 16, 2015),http://mondoweiss.net/2015/01/palestinians-another-resolution. See Are Knudsen, Crescent And Sword: The Hamas Enigma (2004). The Covenant of the Islamic Resistance Movement (Hamas Covenant 1988), The Avalon Project – Yale Law School (1988), http://avalon.law.yale.edu/20th_century/hamas.asp (last visited Feb. 24, 2015) (hereinafter, “Hamas Covenant 1988”). See Scham & Abu-Irshaid, supra note 13. Ezzedeen Al-Qassam Brigades – About Us, Al Qassam Brigades,http://www.qassam.ps/aboutus.html (last visited Feb. 24, 2015). “[M]ore than eight hundred members have been martyred since the outbreak of Al-Aqsa Intifada in September 2000.” Id. Knudsen, supra note 29, at 12. Hamas Covenant 1988, supra note 31, Arts. 20-21.